Elena Of Avalor Activity Table Just $16.88! Down From $40! You are here: Home / Great Deals / Amazon Deals / Elena Of Avalor Activity Table Just $16.88! Down From $40! Score this Elena Of Avalor Activity Table at Amazon for just $16.88 down from $39.99 PLUS FREE shipping with Amazon Prime or for orders $25 and more! 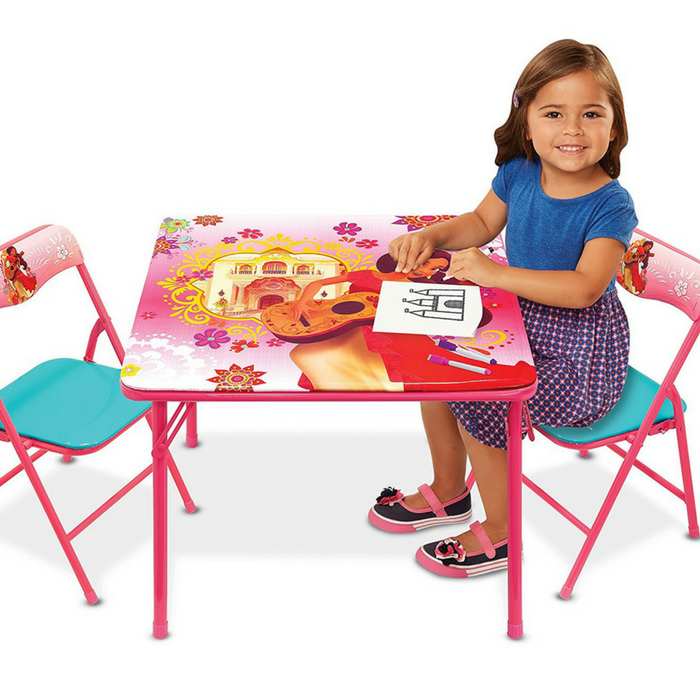 Your child can have hours of fun with this Elena of Avalor activity table set. The set includes 1 table and 2 padded chairs. Bright colorful graphics & large table surface for drawing/eating & playing. Vinyl surface is washable and is made of sturdy metal tubular construction. Adult assembly required with included tool. Chairs include a safety locking mechanism.